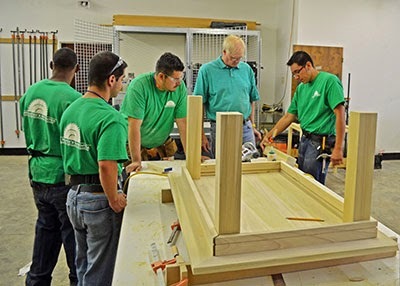 With the decline of shop classes in high schools, there are few opportunities for young adults not headed to college to learn the trades, especially for young men without the benefit of involved fathers. 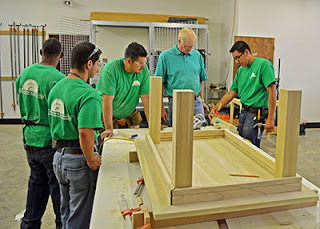 This fall, Save Our Youth mentoring opened The Master's Apprentice in Denver to employ and train men in furniture making while providing mentoring to develop life-skills and faith. This faith venture seeks to become self-sustaining through the sale of its products to the public. hardwoods such as cherry, maple, oak, and alder which are sustainably harvested from well managed forests. 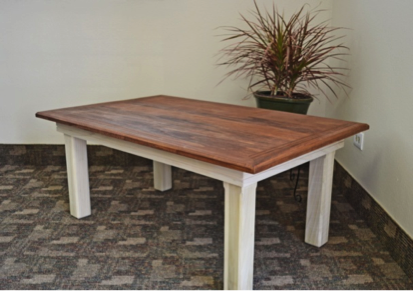 These traditional hardwoods are used along with new urban style furniture made from beetle kill pine and repurposed lumber. We offer these distinctive artisan pieces that are of clean and simple design with solid construction that is meticulous in its attention to detail. Our pieces have been defined as “Mountain Modern” reflecting the rugged beauty and individuality of our Colorado heritage. 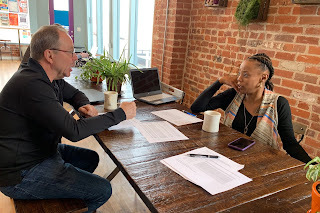 Visit here to learn more about The Master's Apprentice's business as mission.